Located by Central Park West/West 69th Street, NYLBC is off Sheep's Meadow in New York's Central Park. Not far from Strawberry Fields and the former Tavern on the Green restaurant. 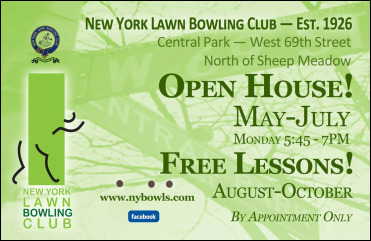 The New York Lawn Bowling Club was founded in Central Park in 1926. 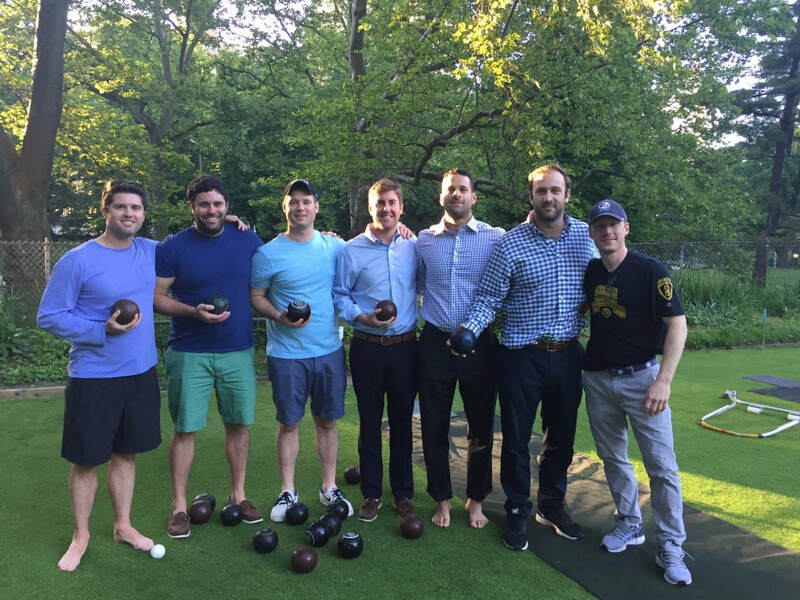 Today they welcome everyone who would like to take part in a fun, challenging sport that traces its origins to ancient times to stop by or contact them to learn more. It is one of the oldest active clubs in the country. NYLBC member Tom Rabolli directing his lead Gene Oka in NED National Championships Playdowns. Rabolli and Oka have represented NYLBC and the NED twice in the National Championships.